Longitudes of the planets for every day of the year. Tables of the house of London, Liverpool, and New York. 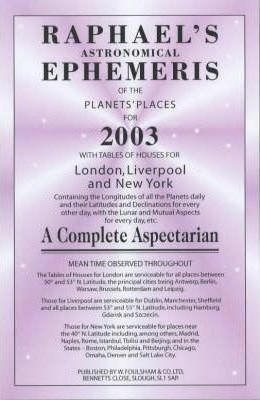 Complete lunar and planetary Aspectarian. Also available for the years 1998-2002.